Nearby the former stable of the Belvedere, this small town house with its paved court is easy to live. The holiday cottage can welcome 5 persons max. " The countryside in town " : you have the businesses and the restaurants at walk distance and walks along the Cher (in 300m). 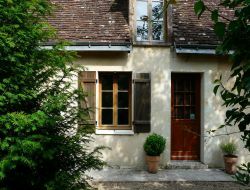 Around Tours, at the heart of the Loire Valley and around its castles, we propose you a charming gite for 4 or 6 people in a former renovated house. 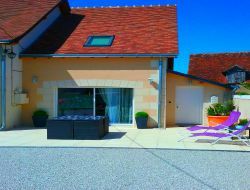 Holiday cottage ideally situated in 3mn from Amboise, on the edge of the Loire at the heart of the castles of the Loire! We propose you a new and contemporary duplex of 55 m² adjoining at the owners house. You can relax through the pages of history, in the gardens of Chaumont sur Loire as well as on the routes of the Loire à Vélo. Do not hesitate to contact us for more informations. You will stay comfortably in family or between friends in this holiday cottage of a maximum capacity of 6 persons and 1 baby. Big garden, with garden furniture, barbecue, table of ping-pong, balancoire. You can use the swimming pool common to the property. 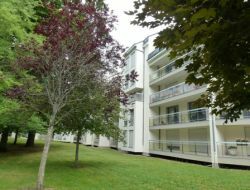 Rent of a studio in Blois, in a secure residence, an ideal for a stay near the castles of the Loire, the zoo of Beauval and the Sologne. 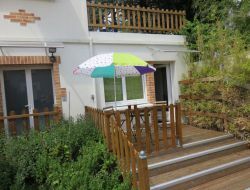 Studio of 35m ², does up like new, in the peace, with underground garage, close to all shops (200m). 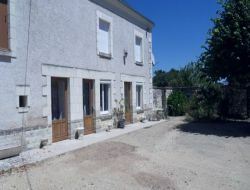 Holiday home in Indre-et-Loire, close to Chinon, in the countryside, in the peace, being able to receive 8 people. Holiday renatl with all comfort, closeness of the shops (7 km). Jean-Pierre and Mireille welcome you for a pleasant stay in their gîte of 30m ², functional and warm, open on a terrace exposed to the rising sun and in the heart of the Loire castles. For holidyas, a seminar, a punctual mission, or any other reason, you will appreciate having nearby all the amenities of the capital Touraine Tours, in a quiet, raised and flowered environment. 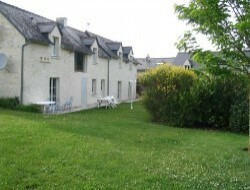 Holiday home located along the Cher in the heart of the city of St Aignan, medieval and renaissance city. Our cottage fully restored, furnished and equipped to new, ideal for a relaxing holiday. You will have near all the shops and the restaurants as well as all the activities of leisures: swimming pool, beach on the banks of the Cher, fishing, nautical base, cinema .... You can do everything by walk ! You will be captivated by the direct view of the Cher! 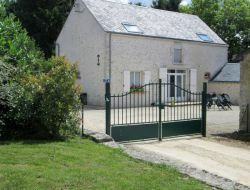 Cottage in the heart of the Loire Castles (Chambord, Blois, Talcy, Cherverny and Amboise) and near the Beauval Zoo. 1h30 from Paris (5 minutes from the sea exit), 50 minutes from Tours and 30 minutes from Orleans. Independent cottage with a capacity of 7 people, with an enclosed garden and parking. Possibility of renting an annex of 3-4 people. 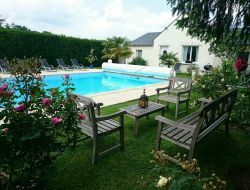 Rent of a holiday cottage of 50m ² all comfort with heated swimming pool, 2 bedroom, for 4 people, to visit Touraine, the castles of the Loire, the Zoo of Beauval and the Futuroscope wait for you for your next holidays. WiFi, queen size bed, 2 tv, landscaped and flowery garden.